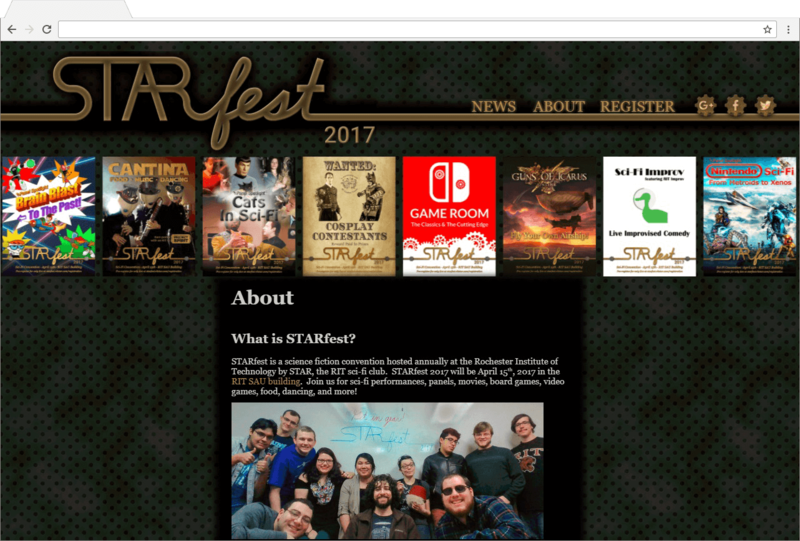 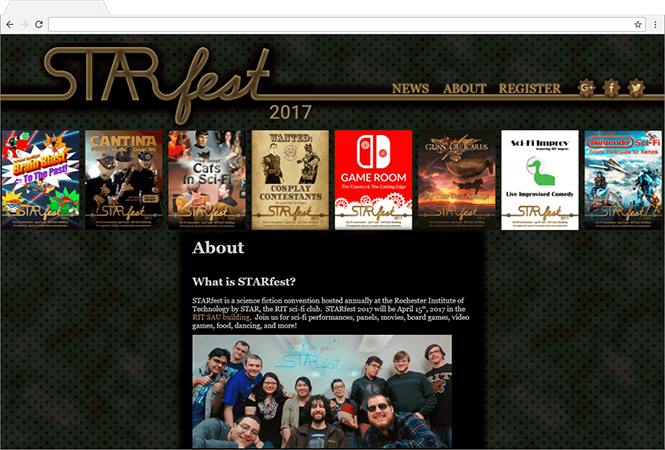 Following the success of STARfest 2016, STARfest 2017 embraced the idea of a unified advertising aesthetic. 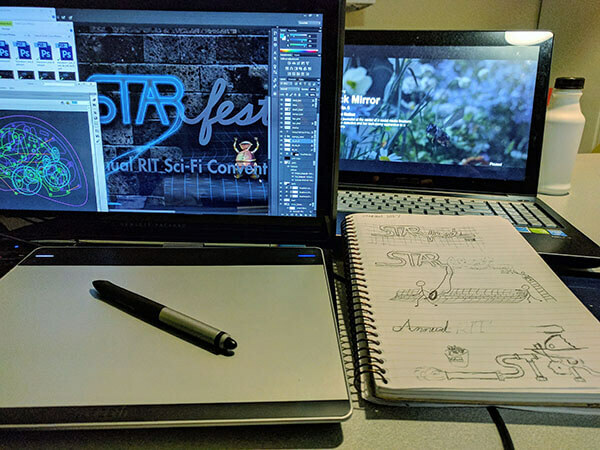 We considered several themes that would be visually interesting, have enough variety for the various graphics we wanted to create, and be clearly different from STARfest 2016 materials. 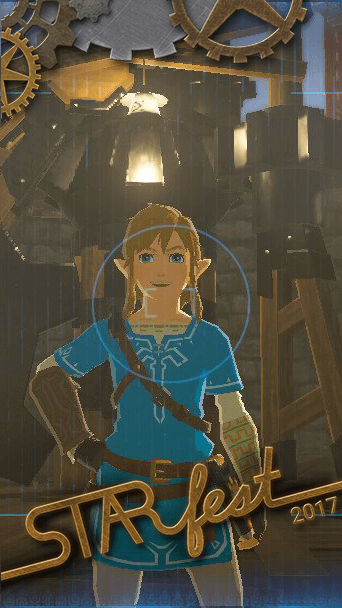 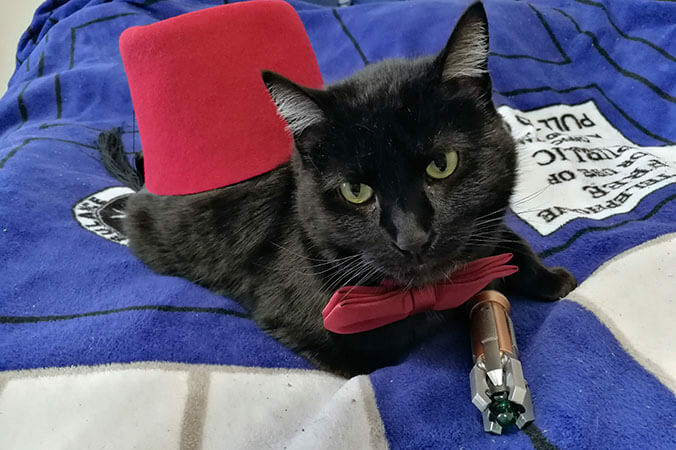 We decided on a steampunk aesthetic. 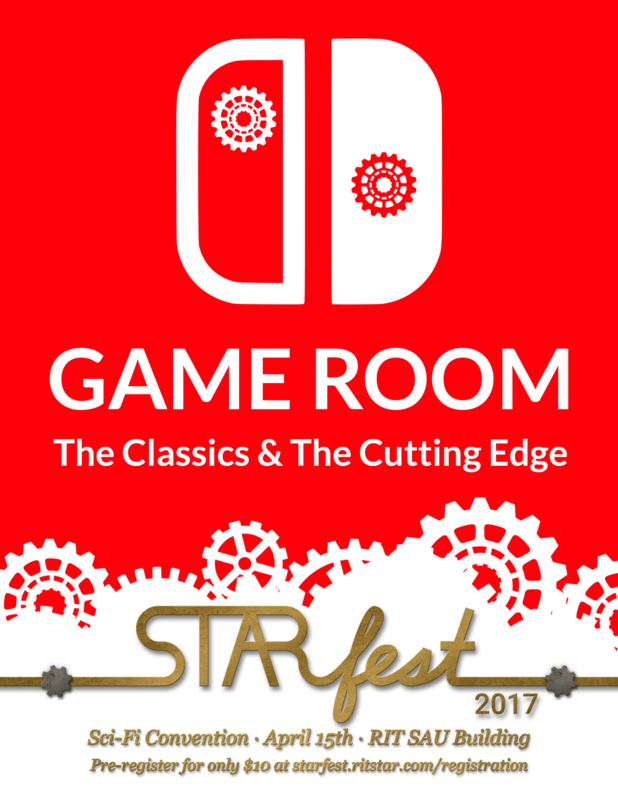 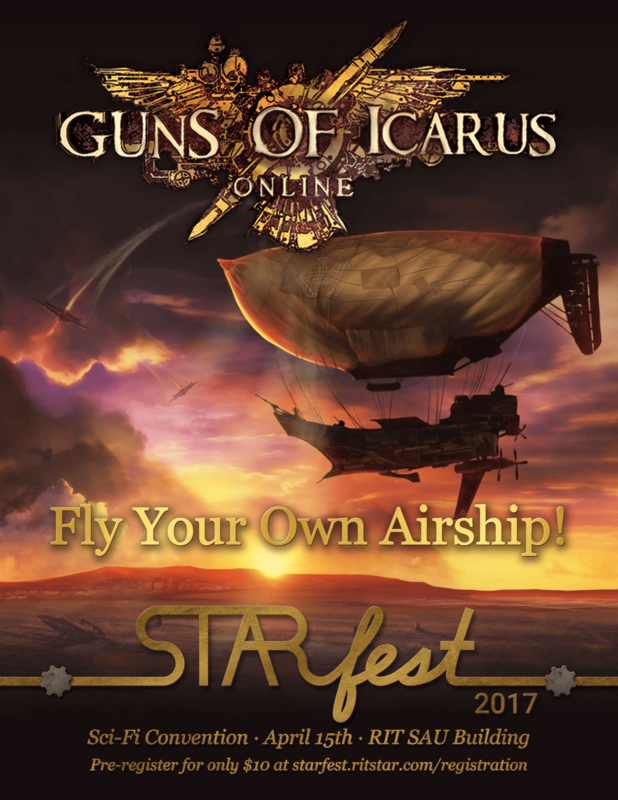 The distinctive brass textured STARfest logo helped unify our various posters whether steampunk materials were consistently present on the poster (e.g., Guns Of Icarus) or not (e.g., Game Room). 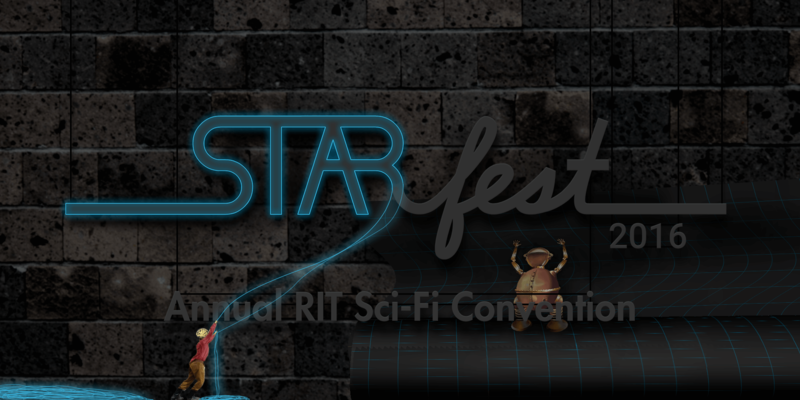 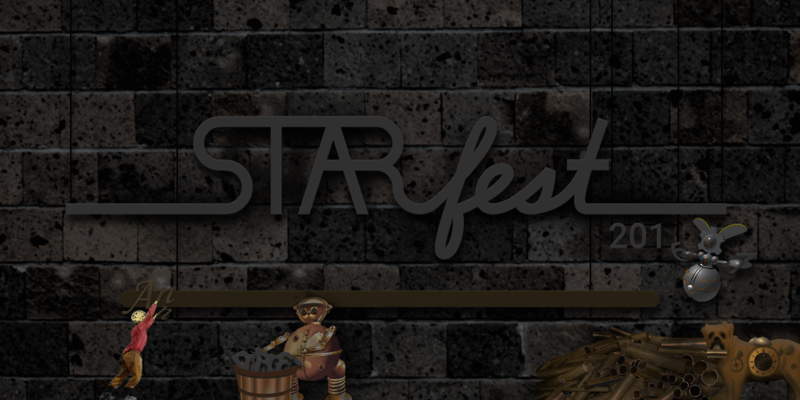 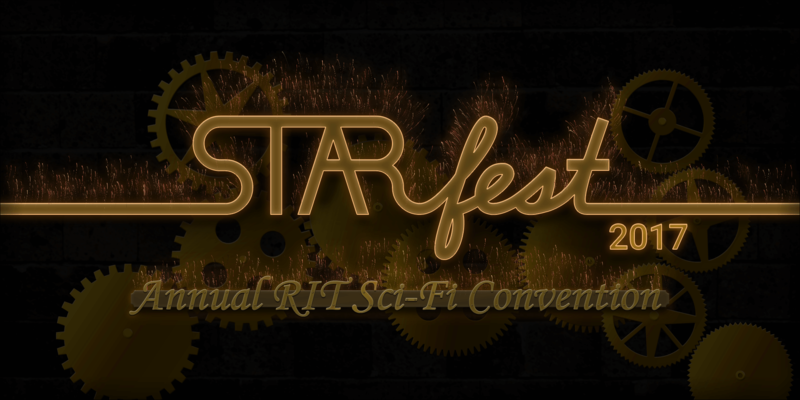 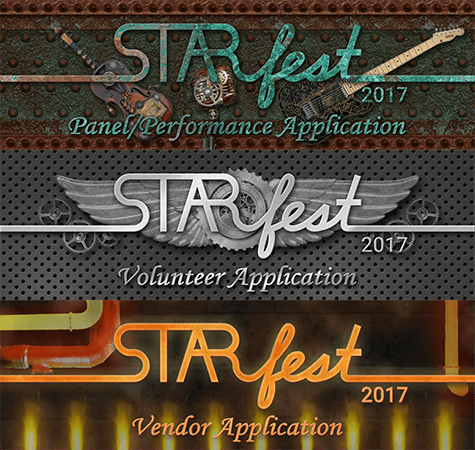 Other textures, such as redder bronze and copper, gave the main designs some variety; materials such as oxidized copper and molten metal gave the panel and vendor applications distinctive textures on top of last year's distinctive colors; and light silver helped the most important elements stand out—such as on the profile picture, where the STARfest logo had to pop out from the background in a 32×32 icon. 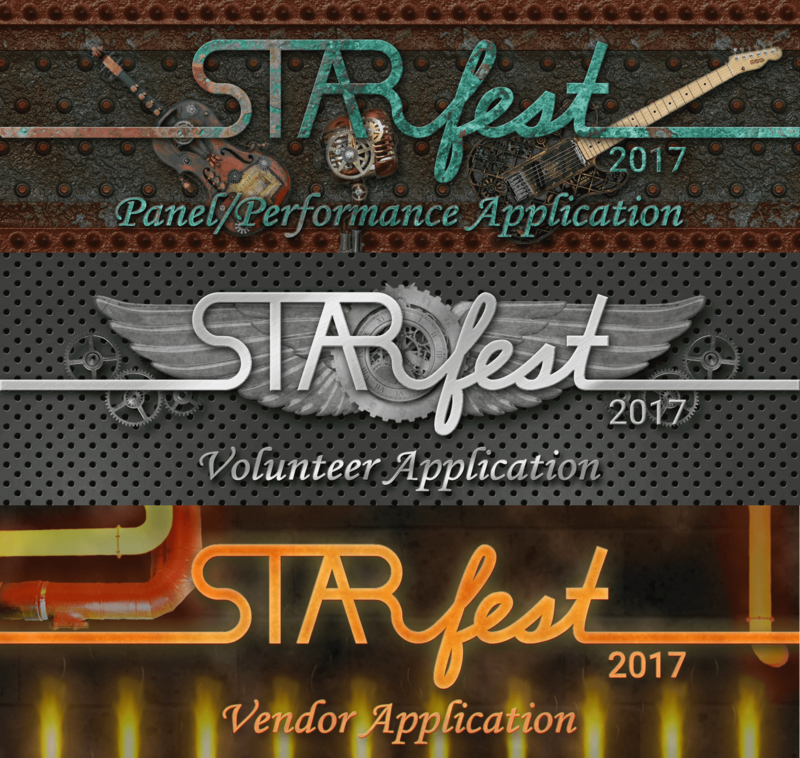 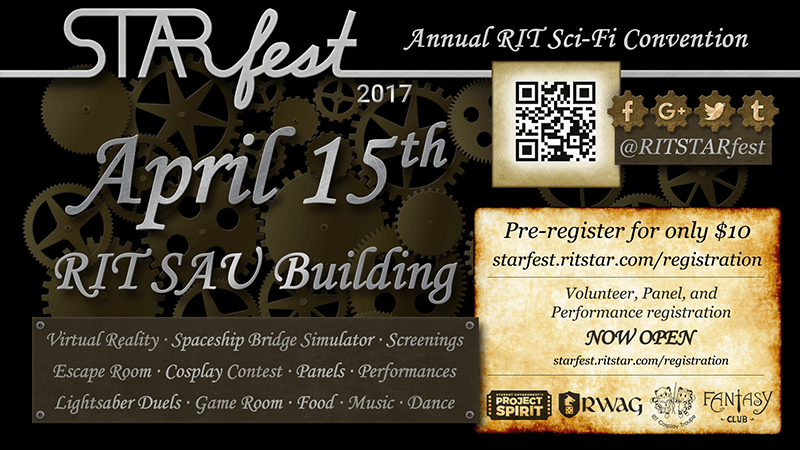 Other changes in STARfest 2017 PR included featuring members of the planning committee (and our pets) more (it turns out humans like seeing their friends—we robots had no idea), talking a little bit more about behind-the-scenes work (laser cutters are really cool), and successfully launching a Snapchat filter! As with the previous STARfest, I designed a few cover photos to tell a story of the transition to the new year. 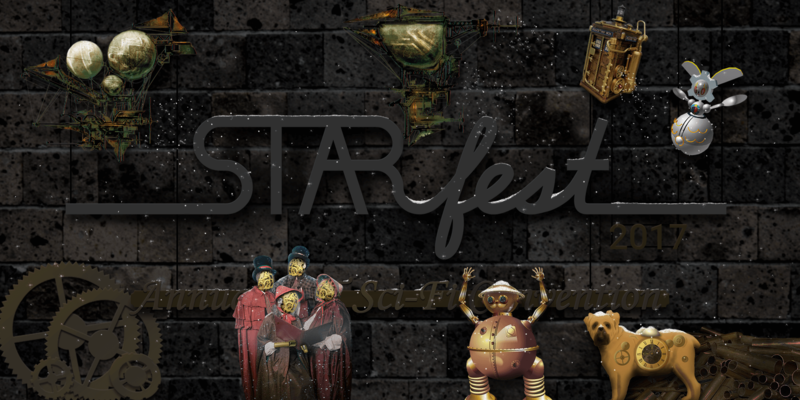 This time, rather than featuring random popular robots, the graphics featured steampunk robots, as well as steampunk variants of well-known icons. 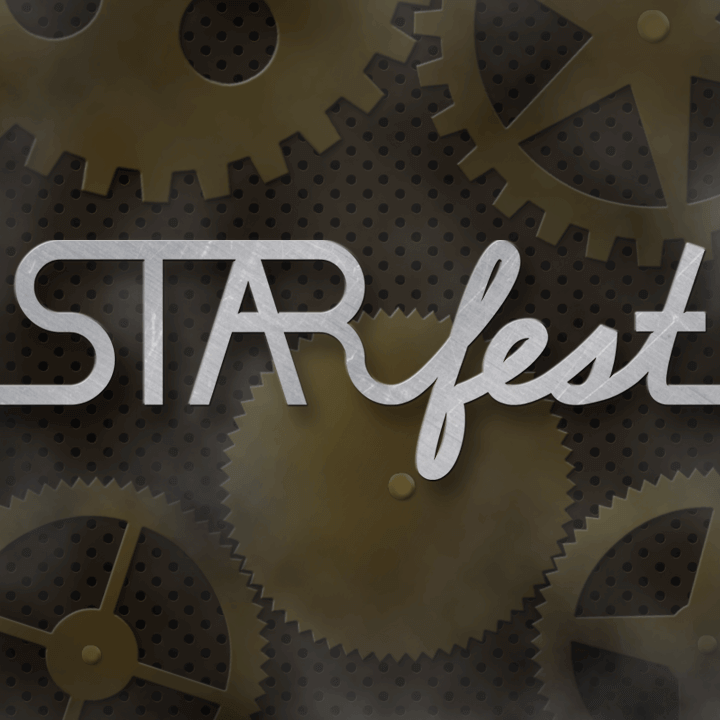 It was a lot of work, but it increased my appreciation for the amount of detail that goes into steampunk design as I drew over thirty unique gears and recreated the internal mechanisms of the Doctor Who clockwork 'droids. 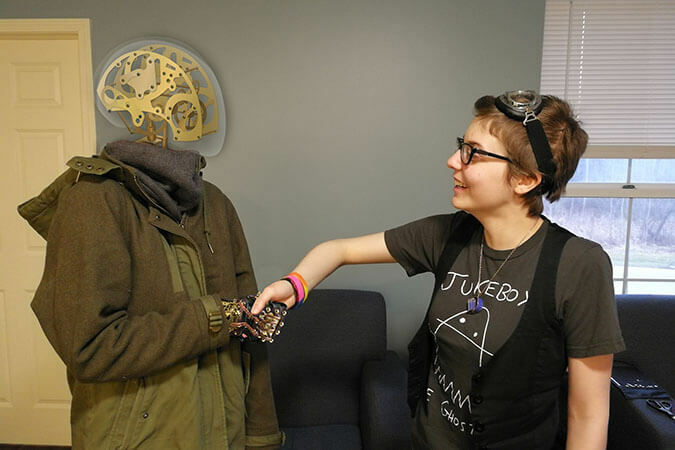 I also got to try my hand at another unfamiliar art style when painting the slightly Pixar-ized steampunk take on Tock the dog from The Phantom Tollbooth (unfortunately, I forgot to write down the names of the online artists and dog photographers whose images I used as references—I will try to remember to link them if I find them later).